POKHARA, April 26: Wui Kin Chin, a Malaysian climber, is stuck on Mt Annapurna 1 since the last three days, hoping to be rescued . KATHMANDU, 26: Plan International Nepal has completed its earthquake response and recovery program implemented at quake-affected communities in six districts that aimed to support reconstruction work after the devastating 2015 earthquakes. 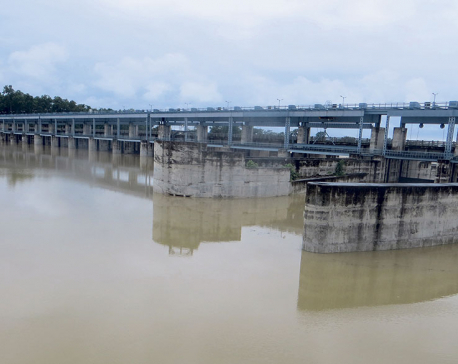 KATHMANDU, April 26: The government has decided to repair the damaged sections of the Sikta Irrigation Project. Many sections of the canal had crumbled before the project's completion due to poor construction and negligence by the contractor. KATHMANDU, April 26: The Supreme Court on Thursday issued a short-term stay order on a petition filed by telecommunication company Ncell Private Limited questioning the assessment of the capital gains tax (CGT) done by Large Taxpayers Office (LTO) to be paid by the Ncell to the government. GORKHA, April 26: Only 30 houses out of 138 proposed to resettle the quake victims in Bhimsen Thapa Rural Municipality ward number 5-Lamachaur have been constructed. RUKUM, April 26: These days Samir Giri, the in-charge of Maikot Health Post in Putha Rural Municipality of Rukum (East), has hardly any time for rest. BAJURA, April 26: Only women know how difficult periods become due to the added burden from society. 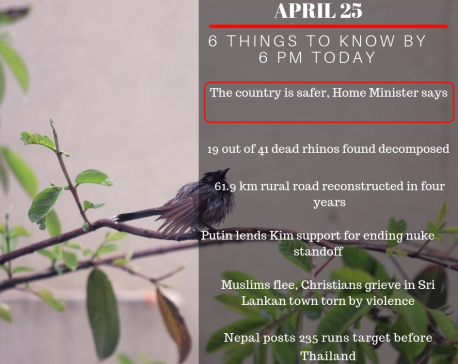 Still, a large number of girls and women in our country are banished from their homes during menstruation. 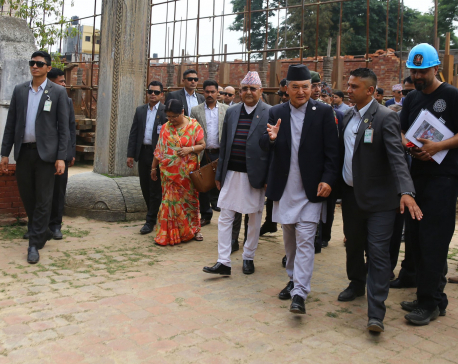 KATHMANDU, April 25: Prime Minister KP Sharma Oli has stressed the need for reconstructing and conserving the heritages in their original styles. 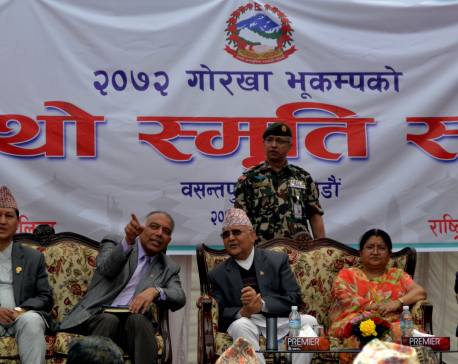 PM Oli was saying this during a program organized jointly by National Reconstruction Authority (NRA) and Kathmandu Metropolitan City on the occasion of the 4th Earthquake Memorial Day in the capital city on Thursday.